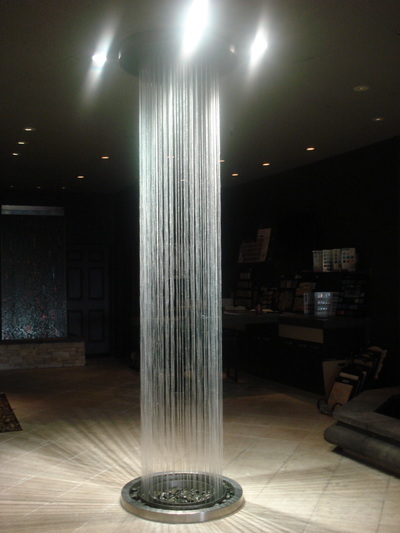 We invite you to visit our Water Feature Design Center. 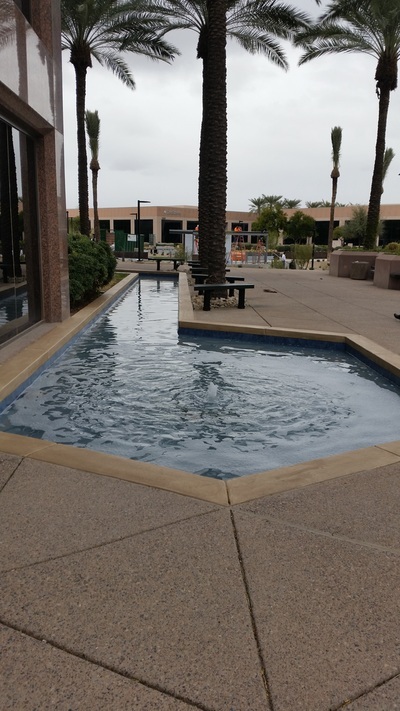 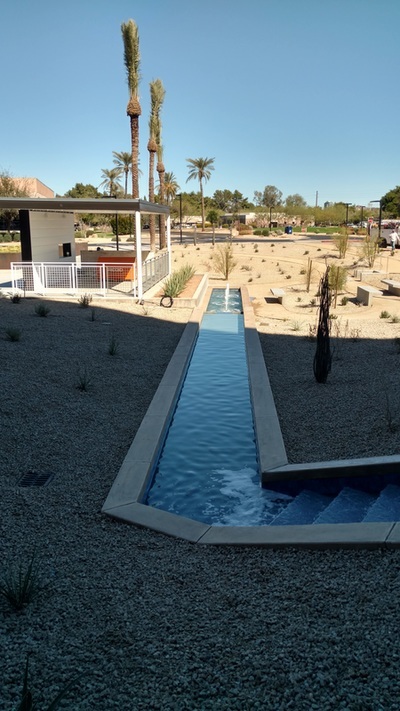 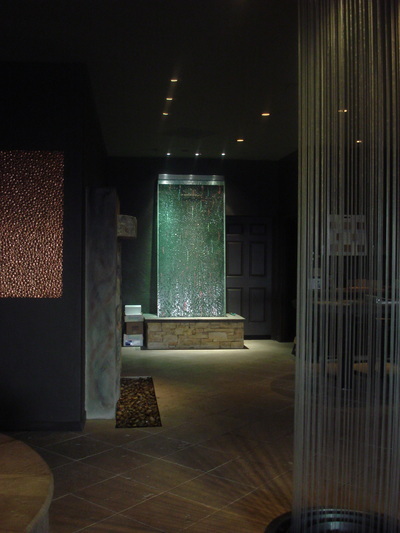 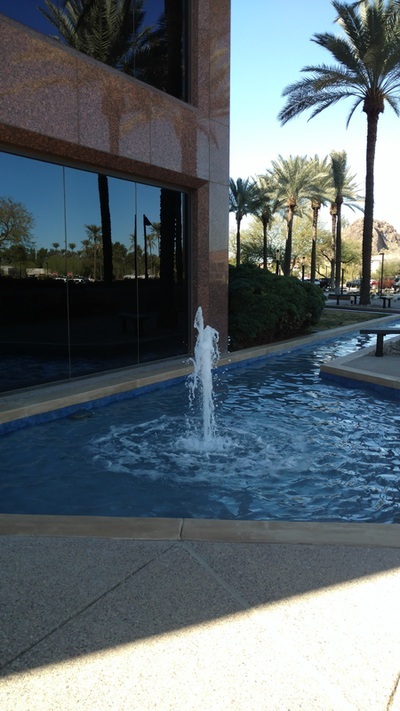 Our client's enjoy a state of the art design center with many different styles of water features on display. 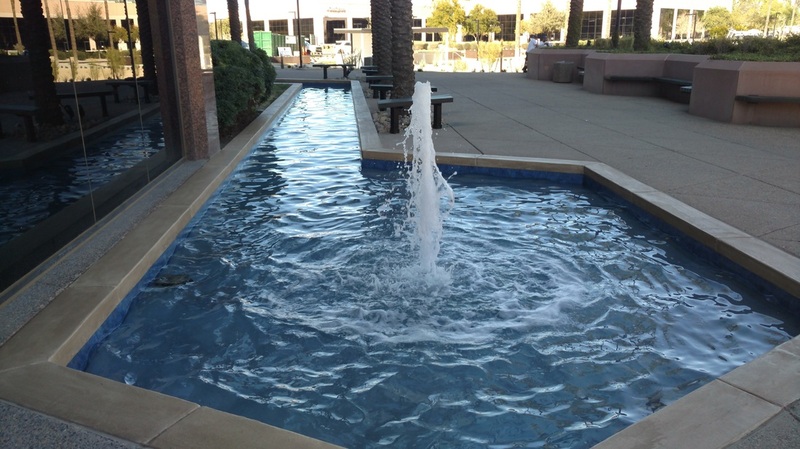 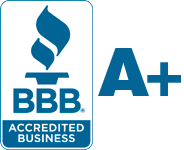 Experienced fountain experts are on staff to assist with questions as well as provide design ideas. 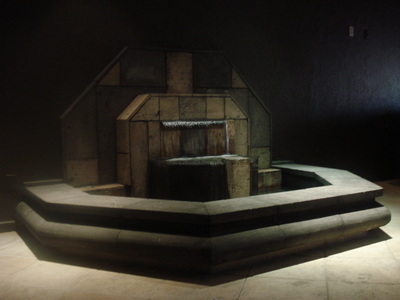 Designers. 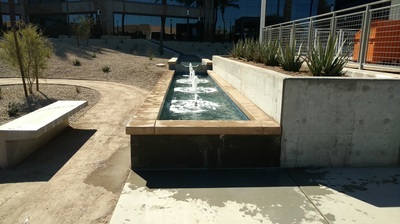 landscapers, custom home builders and homeowner's are welcome to view the latest water feature technology on display. 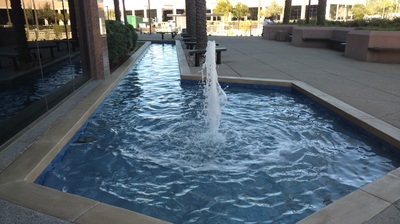 Water features include stainless steel rain curtain, water walls, copper water walls, and interactive jumping jets. 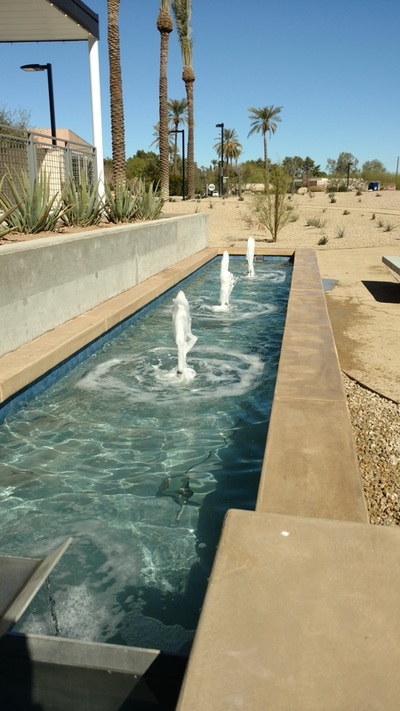 Read more about it in Phoenix Home and Garden Article.